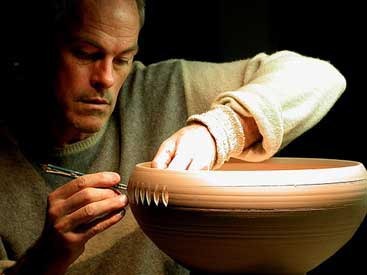 Artist David Voll has made his living crafting fine ceramic pottery for the past 30 years. 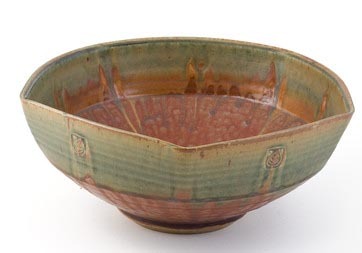 David's unique hand-glazed pottery are made using intricately detailed glazes. 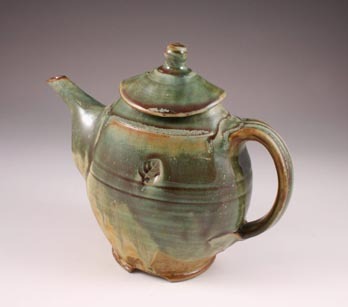 He enjoys using a range of green/aqua and terra cotta colored glazes, usually fading the two into each other for a striking contrast. He likes to incorporate traditional techniques like carving into his pieces, making each one he completes a unique work of art. 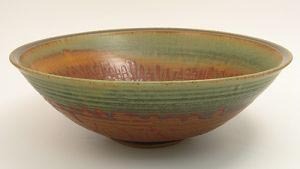 His ceramics have been displayed at galleries across the country and in Paris, Tokyo, as well as the Philadelphia Museum of Art. 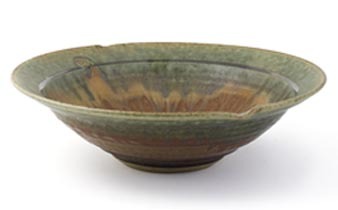 David Voll's high-fired stoneware pieces are highly functional and are safe for use in the oven, dishwasher, and microwave. New Jersey's famous stoneware clays found me when I was a teenager. I saw a vein of ochre colored clay exposed along the bank of a shallow cedar creek. This innocent discovery started my pottery exploration and has challenged me ever since. 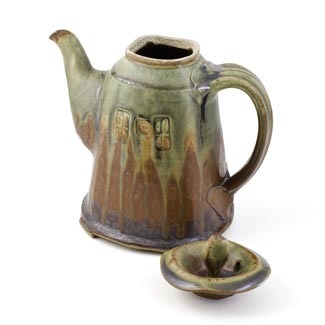 I was drawn to functional pottery for it's rich history and intimate collaboration in daily use. I love it's opaque beauty.